Musical Instrument Specials: Savings on New Instruments, Lessons Books and even a Free Fife or Recorder! Yamaha Guitar Package: $347.40 Available today! C40 Guitar Six ½ hour Lessons at a special rate with guitar teacher Tim Dobby. Beaver Creek Solid Spruce Top Guitar BCTC901 Special: $302.20 Available today! Beaver Creek Guitar gig bag, and Six ½ hour Lesson at a special rate with guitar teacher Tim Dobby. Danelectro Guitar D59 Electric Guitar Special: $1001.67 Available today! Danelectro Guitar D59 SGBD Electric Guitar gig bag 6 ½ hour lessons at a special rate with guitar teacher Tim Dobby, Free book: Hal Leonard & Free Pick. Alhambra 7PA Spanish Guitar Solid German Spruce top, Solid Indian Rosewood back and sides (no laminate), Ebony fingerboard, Gold Plated Machine heads. Audition Alhambra by appointment: call to book. Alhambra 9P Senorita Spanish Guitar Solid German Spruce top, Solid Indian Rosewood back and sides (no laminate), Ebony fingerboard, Gold Plated Machine heads. Zev Violin Package $373.96* Available today! Six ½ Hour Lessons (reduced rates), Zev Violin, Bow, Rosen, Case, and Free Book: Suzuki Violin School Book 1. #1. With Teachers: Terry Lim or Maria Vallejo: Jupiter Flute JFL710 Package: Lessons and Free Book $727.35 Available today! Jupiter Flute, Six Half-hour Lessons with Terry or Maria, Free book: Trevor Wye. #2. With Teacher: Kitty Tang: Jupiter Flute JFL710 Package: Lessons and Free Book $685.35 Available today! Jupiter Flute, Six Half-hour Lessons with Kitty Tang, Free book: Trevor Wye. #1. With Teacher: Kitty Tang: Free Yamaha Fife Packages $141.00 Available today! Free Yamaha Fife, Six ½ hour Lessons with Kitty Tang, Liz Goodwin’s Fife book. Ideal for students 5-9 who want play Flute! #2. With Teacher: Terry Lim or Maria Vallejo: Free Yamaha Fife Packages $183.00 Available today! Free Yamaha Fife, Six ½ hour Lessons with Terry Lim, Liz Goodwin’s Fife book. Ideal for students 5-9 who want play Flute! Free Yamaha Recorder Package: $157.99* Available today! Six half-hour Lessons, Free Yamaha Recorder, Recorder Music Book. Ideal for students 5-9. Leads to Clarinet, Oboe or Saxophone lessons! *All Prices include HST. Prices are subject to change without notice. Cash or Debit card. $22.50-$32.50 per half hour music lesson. Lessons begin with a small investment. Ware Academy offers beginning students a variety of musical instrument packages including instruments, cases, books and lessons. These musical instruments are inexpensive, but adequate for lower levels of RCMusic examinations. Hesitant parents of children ages 5-8 will find the fife and recorder packages essentially risk free as both offer free Yamaha instruments. These introductory “training” wind options will lead to flute, oboe, saxophone or clarinet. Violins and guitars are made in multiple sizes to accommodate all ages. Our keyboard package features a touch sensitive model as needed to develop muscle strength. Voice lessons do not require an instrument, however young students are better served with an instrumental lesson prior to or in conjunction with vocal study. Beginning music lessons range from $21.00, to $35 per half hour. All teachers accept beginners. Serious pedagogues never underestimate the formative years. However, advanced students require more highly qualified teachers who are comfortable with the demanding technical requirements of grade 10 and ARCT. To register for lessons, please call school during office hours to speak Chinese if desired. Staff will gather information and choose best teacher/best day according to your schedule and RCMusic level. Specific teachers are available only on certain days with limited openings. Young beginners start with a 30 minute lesson. 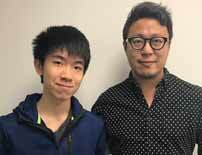 For students 10 years old to adult, I recommend a 45 minute lesson building to one hour. Attention span and expectation increase with age as well as a desire to play more sophisticated music. By RCMusic grade 5 level, all students should be into 45-60 minute lessons to support interest and RCMusic requirements. 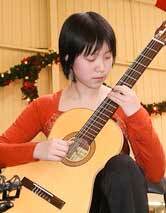 Guitar Student Helen Lu, wins 1st Prize in National, Canadian Music Competition 16 and under. 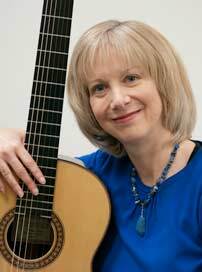 Helen alos won the RCMusic Gold Medal in Guitar Performance. "Delightful, excellent work. You have such precision and clear tone. Very polished performance and talented musician."